Marin County Fair is coming up! 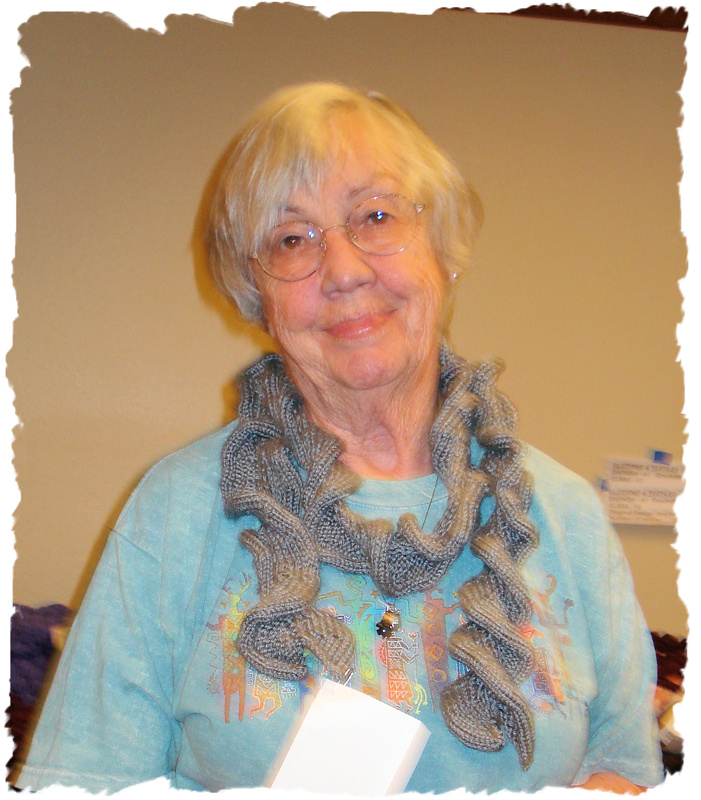 Early last week I had the opportunity to work as a knitting/crochet judge for entries in the Marin County Fair. And, oh, there were so many wonderful entries, in fact at least double from years past. I will post just a few of those that I saw…and these are photos of ones that were eye-catching and my camera was handy. 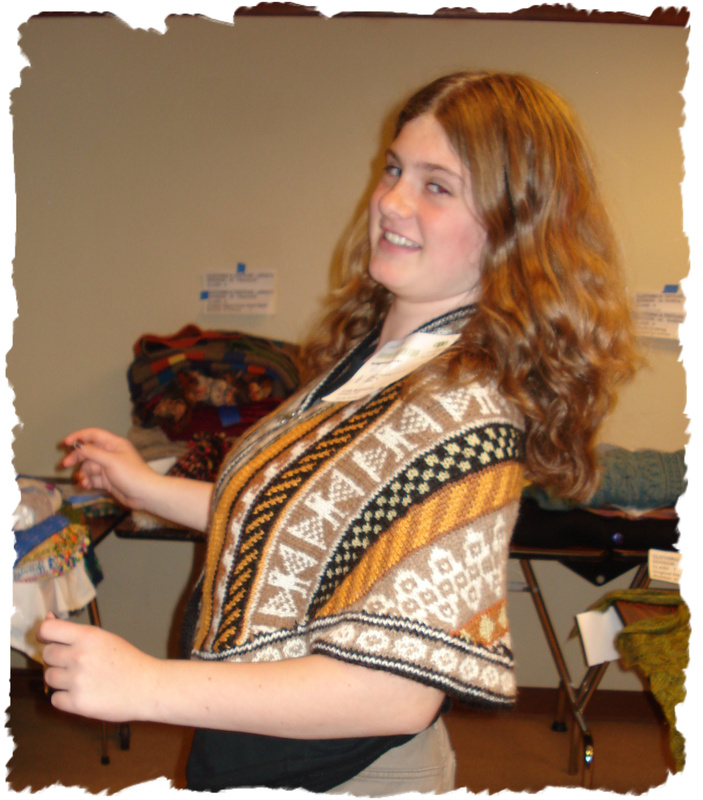 The caplet that Katie modeled really caught my eye….the colors, the design, the drape, and the frog/clasps in front. It was one of the garments…and there many… that I would like to have taken home. The sock with the target design was unique in that the design appeared to be knit from center out and then incorporated into the sock. 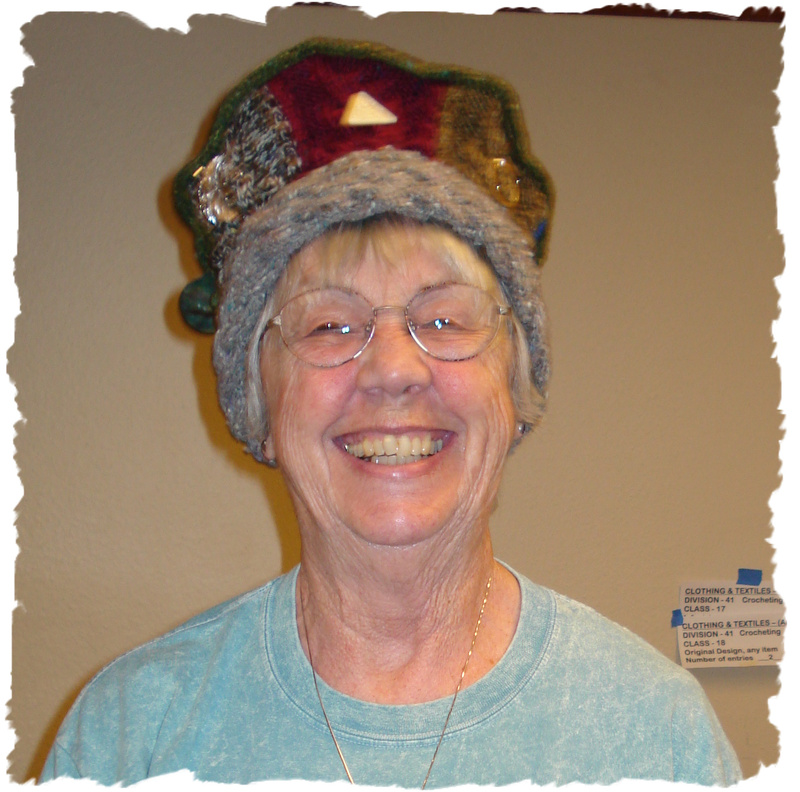 And the hat that Barbara modeled caught my eye because I love hats…and I loved the construction of this one…cables, colors, and embellishments. Having served in this judging role once again reminded me that there are so many creative people. I glimpsed other items (not knitted) that will draw me back to the Fair as a visitor so I can really see all the other entries. If you are looking for something to do over the July 4th weekend….you might enjoy this event. How cool that you are a judge! What an honor to be asked. If I had known, I would have submitted a couple of things and sent you a bribe. Aren’t you just too darn funny! And thanks for the compliment. Did you see the pictures of Taffy, Terry, and Lucy?